club up; choke down; ball back; weight forward; swing easy. 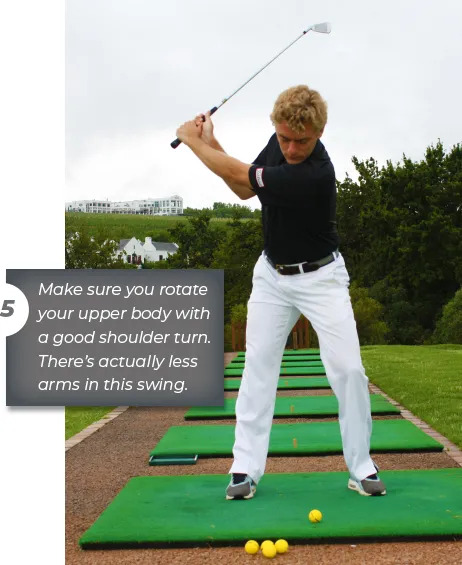 The final advice to swing easy often leads to golfers swinging with just their arms; there’s no shoulder turn. Whether you’re going to play in the wind or not, if you want to add consistency to your ball striking, practice a good swing tempo. Choose a target, go one club higher than you would usually choose, choke down on the grip, ball back in the stance, and swing with a good tempo. 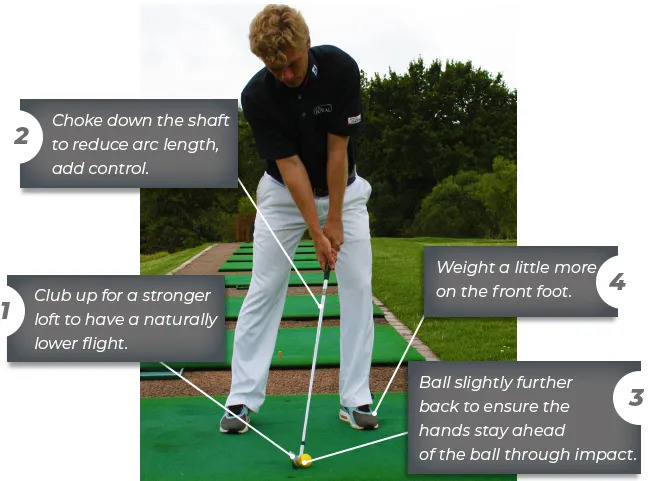 Ball flight lower? More accurate? Does your consistency improve? Want some help with this?